Barry Jung will lead one of several neighbourhood-related seminars at Missions Fest this weekend. Some are inclined to think that Missions Fest – which takes place all day Friday, Saturday and Sunday (January 17 – 19) – focuses only on overseas missions. That never was the case, but the local focus is stronger than ever now. One of the verses most commonly associated with discipling is the Great Commission (Matthew 28:18-20). To paraphrase: “In your going, make disciples.” Our goal at this conference is to shift your attention from the “Go” of the verse to the “make disciples” part. 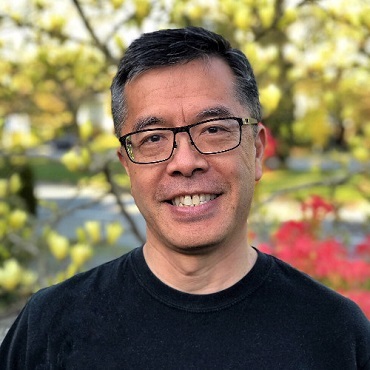 Barry Jung is with Parish Collective Vancouver, which “identifies, connects and resources followers of Jesus to grow the fabric of love and care in, with and for the neighbourhood.” He is pleased that his presentation at Missions Fest will be just one of several with a similar focus. Whether it’s our work life, school life, home life or neighbourhood life, it’s often the ordinary and mundane tasks and practices and experiences of our lives that have the most potential to transform us little by little to follow the way of Jesus. In recent years, clergy, church leaders and laity have been sharing those everyday experiences at conferences such as Inhabit, Conspire, New Parish and Reimagine, which focus on the lives of ordinary people as they attend to what the Spirit is up to in their neighbourhoods. It’s encouraging to note that Missions Fest has organized a string of ‘Into the Neighbourhood’ seminars back-to-back this Saturday (January 19). The seminars are apparently independent of each other, but with the Spirit’s leading it would appear that faithful presence in the neighbourhood will be a major topic of learning and discussion at this year’s Missions Fest. Five seminars (each 50 minutes in duration) will be presented in Room 10 from 11 am to 6 pm. What if we’re all called, equipped and empowered to bear witness in our everyday lives – and the great commission and great commandment are linked? What if the place to begin is right next door? Explore the theology and practice of discovering and joining God’s mission by being good neighbours. Karen is on the National Team of Forge Canada and a Go Local Catalyzer with Resonate Global Mission. She equips us to participate in God’s mission right where we live; seeking the peace and well-being of our neighbourhoods. She has a doctorate in missional leadership from Northern Seminary, Chicago. We gather to share stories from various neighbourhoods and different contexts about what we are learning, where we are growing and how we see God working in our neighbourhoods. Our ongoing hope is to encourage each other to follow the simple call of Jesus to love our neighbours as ourselves. This seminar will be about stories shared by neighbourhood practitioners: Mae Yen, Chris Hyndman, Jenn Richards and Anika Barlow. 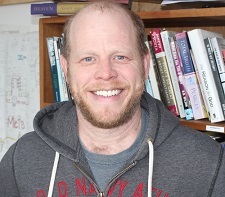 Barry Jung lives in Vancouver and has been intentional in learning to know and be known by his neighbours. He is exploring how he can be more involved in his neighbourhood and city as a community convener and social connector and trying to figure out what it means to be a follower of Jesus. Dennis is a Christian minister who planted a church in Vancouver’s West End eight years ago – Meta Communities. Derrin is a long-term resident of the West End who is currently searching for God. The story of how Urban Abbey, a church plant in Canada’s most dangerous city, is partnering with 11 social agencies to bring hope, renewal and change. This seminar offers key strategies and methodologies for everyday people longing to connect the gospel with transformative practice. Kimberley is a professor of Inter-Cultural Studies at Columbia Bible College with special interest in the mission field of Western civilization. 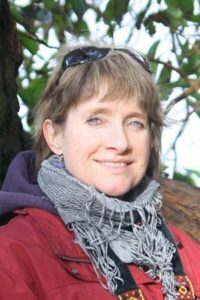 She is a church planter who has ministered among the Indigenous peoples of Canada, in a ghetto in California, and in the wilds of North-Western Ontario. Cam Roxburgh is national director of Forge Canada, vice president of missional initiatives for the North American Baptists and senior pastor of Southside Community Church. Cam has taught at a number of seminaries and does speaking and consulting in missional theology, ecclesiology and leadership. He has been a local pastor for 26 years. For a full listing of all Missions Fest seminars go here. ← Around Town: Prayer for Christian Unity, A Rocha’s new CEO, Kairos Course . . . This sounds amazing. I pray that it goes well.